Paris, France, 5 July 2017 – ETELM, a leading manufacturer of advanced Mission Critical communications infrastructure, has successfully participated in the first Mission Critical Push-to-Talk (MCPTT) Plugtests, and connected a TETRA base station directly to LTE EPC cores and MCPTT servers. By connecting TETRA with LTE without any gateway, ETELM’s 4GLinked solution offers much better performance and operability as strongly requested by all mission critical users now and in the future. ETELM is a pioneer in the critical communications sector and was the first company to implement a MCPTT solution into a hybrid TETRA/LTE network, thanks to its partnership with Nemergent, a working group that specialises in the development of interoperable emergency communications solutions. 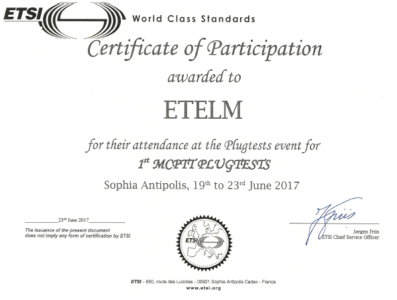 During the Plugtests, which were organised by ETSI and the TETRA and Critical Communications Association (TCCA) from 19 to 23 June 2017 in Sophia Antipolis (France), ETELM’s solution successfully interfaced with many other vendors. This created a fully integrated solution in line with ETSI/3GPP standards (3GPP release 13), connecting users from different technologies and giving them the ability to use the same services. ETELM’s 4GLinked solution overcomes traditional issues associated with legacy systems and their evolution and association to LTE, by bringing to market a fully interoperable and harmonized mission critical communications solution. The first deployments of the solution are currently taking place. For further information, please visit https://www.etelm.fr/. 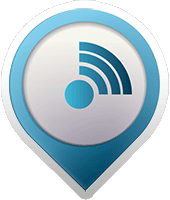 ETELM’s 4G Linked portfolio is a range of revolutionary products designed for the radio communications market, linking both Narrowband and Broadband into a single, fully distributed LTE core network. The solution is unique as it enables standard TETRA, DMR, Analogue and P25 base stations to directly connect to the same LTE core network as 4G eNodeB cell equipment, avoiding the need for black boxes or gateways. For further information please visit https://www.etelm.fr/ and follow us on LinkedIn.